One of the greenest building materials available is natural stone, especially when sustainable extraction practices are considered. The material itself is taken straight out of the earth from quarries. From there, it is cut to size, finished, and installed as everything from countertops and flooring to fireplace mantles, backsplashes, walkways, garden walls, and exterior cladding. Stone is low maintenance, easy to clean, and can offer a long lifetime of protection, beauty, and service, making it an ideal material for green building projects. Dimension stone is natural rock that has been quarried in prespecified block or slab sizes and finished to certain specifications and requirements. Exterior cladding made from natural stone can offer both an aesthetic beauty and sustainable surface to the building, and the anchorage system holding the material in place is a critical feature. Today, one ideal use for natural stone is in exterior cladding. Whether it is used to help reduce a building’s heat island effect in a hot and dry climate, or to provide a water- and freeze-resistant exterior in a colder climate, exterior stone cladding is versatile and appealing. 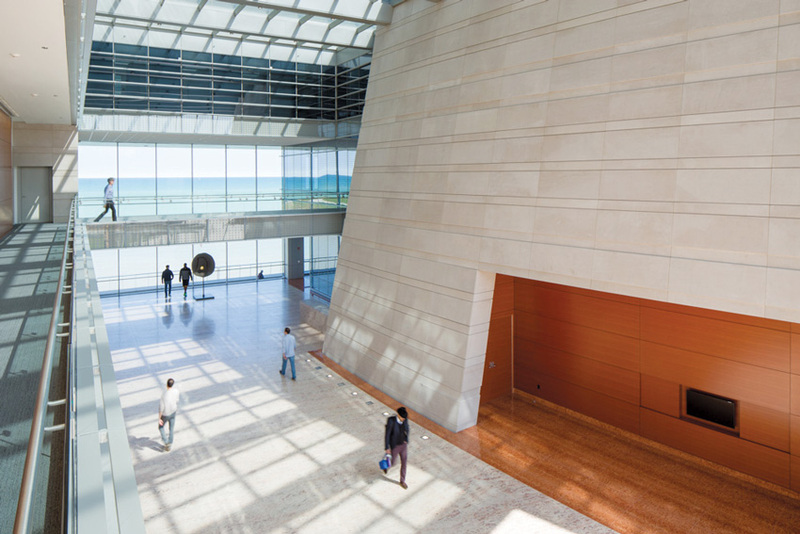 The raw and authentic appeal of stone lends itself to bold and interesting design options, while also satisfying the structural needs of the building. Natural stone cladding requires a safe, secure, and durable anchoring system. 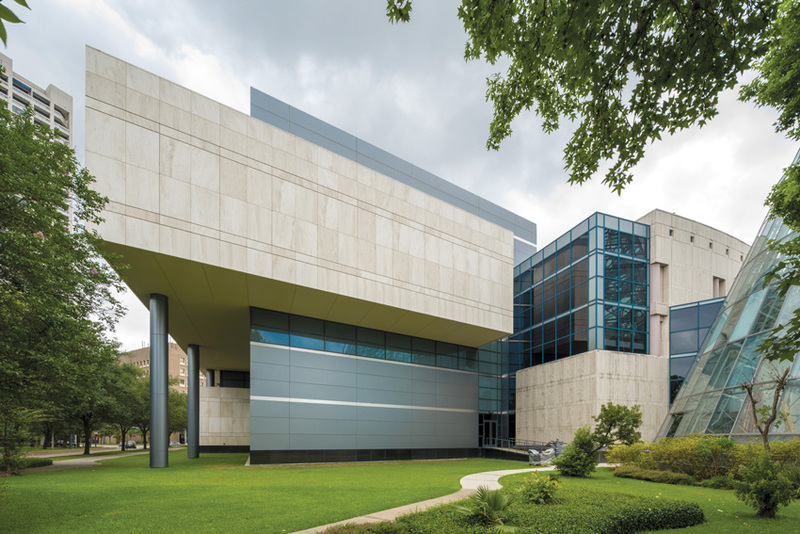 When used as a cladding, the weight of the stone is subject to several forces that it must be able to resist—namely gravity, wind pressure, and seismic loads. 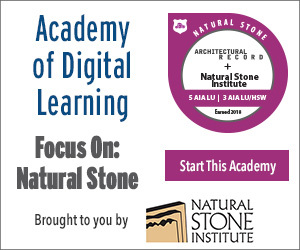 To ensure a safe and durable stone cladding project, architects need to understand how natural stone anchorage systems work, what key components are involved, and how to work with engineers and installers. Whether inside in a protected environment or outside, the forces of nature are constantly working against cladding, making anchorage systems a critical safety and sustainable element of design. Forces such as gravity, wind load, and seismic activity all can negatively impact natural stone cladding and anchorage systems if the building team does not consider the potential impact of these forces. One of the best ways to ensure success is to hire an accredited stone installer to work with the project’s structural engineer and architect. These team members are better suited for understanding the specific needs of the anchorage system and can ensure the final product remains structurally sound for years to come. With that in mind, let’s take a look at how nature impacts stone cladding, and how choosing natural stone as a cladding material inherently brings strength and durability to a project. As a natural product, stone is inherently eco-friendly. While it needs to be cut and finished, the material itself is “ready made” right out of the earth. Stone is naturally very strong, durable, and easy to maintain. When best practices are used for extraction and manufacturing, natural stone is considered one of the most sustainable products available. As a dense, strong, and durable product, natural stone works well as an exterior cladding. However, in order for the cladding to be safe and secure, it needs to literally be safely secured to the building structure by anchorage systems that can withstand the forces that impact natural stone cladding.